High-Intensity Discharge or HID headlights are popular choices for car modification these days because it gives better illumination on the road. Before having one installed, however, car owners are advised to review the vehicle regulations of their place. Depending on where the car is used, it will have to adhere to either of the following: (a) United Nations Economic Commission for Europe, (b) Federal Motor Vehicle Safety Standards (US), or (c) Canada Moto Vehicle Safety Standards. For the most part, these regulatory bodies are similar in their set of laws. One of the few points of contention among them lies in the make and use of headlights. Cities and states will sometimes have their own specific regulations, particularly with the use of headlamps with high luminosity efficacy (brightness), and sporting a different tint, such as the bluish shade of HID headlights. Nonetheless, aftermarket companies are coming up with some innovations to HID headlights, so that they are complaint to safety standards. Out in the market today are HID headlamps that are reduced in size. Smaller bulbs help manage the excess of brightness that comes with such headlights. People who drive small European cars may want to look into these custom headlights. A better innovation is the use of non-parabolic reflectors, which is typical of projector-type HID headlights. What’s so special about a non-parabolic reflector is its ability to disperse beams at exact angles. This, in turn, produces asymmetrical beam shape that supplies adequate side-to-side visibility, while maintaining sufficient forward light without glaring passengers and other drivers. Projector HID lights also have the option of switching from asymmetrical to symmetrical beams when fitted with w solenoid pivot. 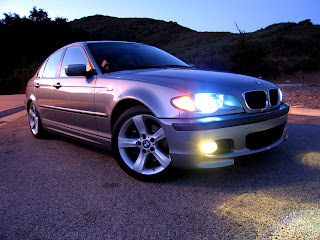 Who Should Go for HID Lights?